My Frostfire Bolts crit 70% of the time on the fight and I was able to put up 3929 DPS :) And that was without my Flask of the Frost Wyrm as we had 45 minutes to go in the night and I didn't want to use a 2 hour flask. But after the Plague Quarter, we once again hit up the Military Quarter and quickly blew through the Instructor and Gothik. Emboldened by our victory over Loatheb, we continued to the Four Horsemen. 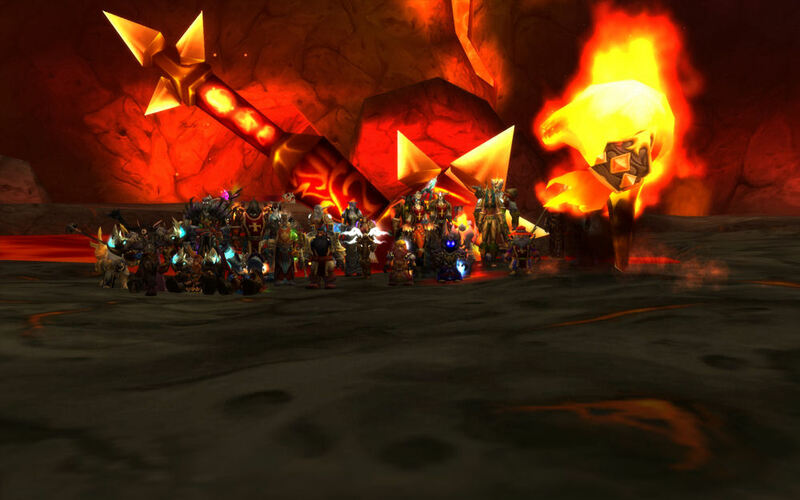 Again, it was a learning experience, and we wiped twice as we learned the fight, but we easily took them down on our third attempt and we should now be able to clear those three wings without any issues in the future. Overall, a great night. Two more wings cleared, one more to go before we can hit Sapphiron and Kel'Thuzad. 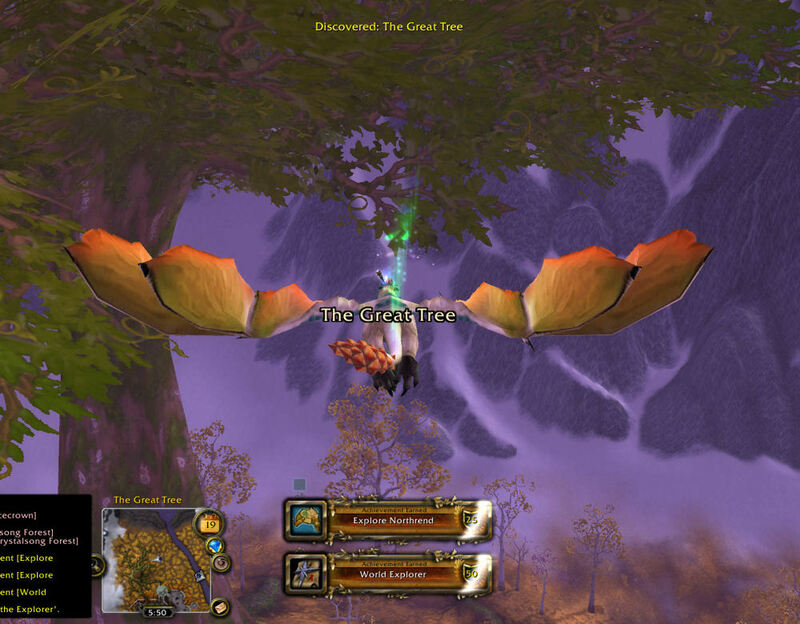 Plus, the trinket I lusted after dropped for the second week in a row and it is finally mine, Embrace of the Spider. The Grieving Spellblade also dropped, but it went to Eirama who was much deserving of it. Hopefully next week, it or the Blade of Dormant Memories will drop. Then all I'm really looking for is Tier 7 items and loot from the last two bosses. It's been a while since I updated anything here, but some big news last night. I finally obtained my Pengu and my Mastercraft Kalu'ak Fishing Pole. I'm now done running dailies for the Kalu'ak, as they were my 25th Exalted Reputation. Pretty happy to be done with them as their dailies awarded just 3-5g each. 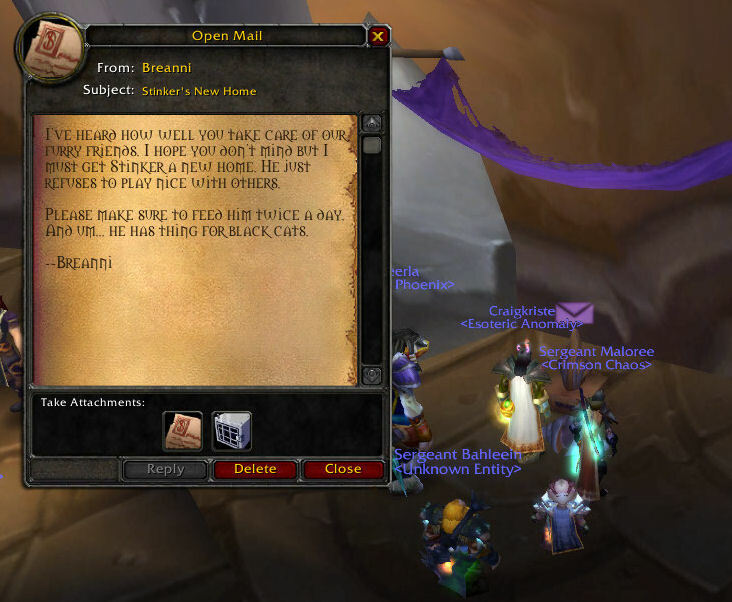 Now I can do more dailies in Icecrown and get rewarded properly. I also spent all my money last night. I bought the Signet of the Kirin Tor for 7649g, and combined it with my Annhylde's Ring which gives me no ring upgrades until Wrath. I also completely updated my upgrades list which I will post about later and I now know every instance I need to run or every crafted Item I need to get ready for the end-game. On a side note, last week, after picking up Lil' Smoky, I dropped Engineering and took up Mining. 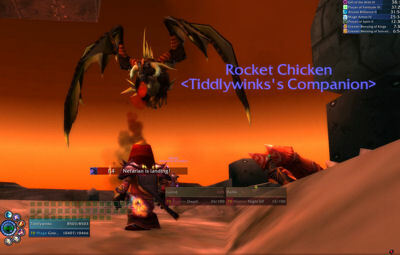 I hit 450 last night (hit 375 on Sunday) and now can mine anything I run across which is awesome. 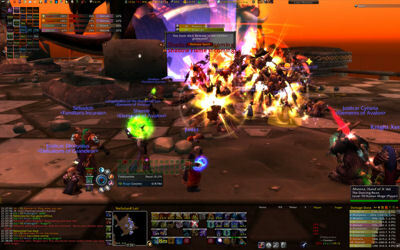 Just this morning, a quick run around Icecrown netted me 50 Saronite and 8 Titanium. I quickly smelted a Titansteel Bar and threw it up on the auction house, undercutting all others at 330g. It should sell today and I'll be back on my saving money for more outrageous purchases. I've been running heroics on and off and slowly I'm getting my Kirin Tor rep up. I'm getting 150 rep daily from the cooking (and hit 25 Dalaran Cooking Awards last night). 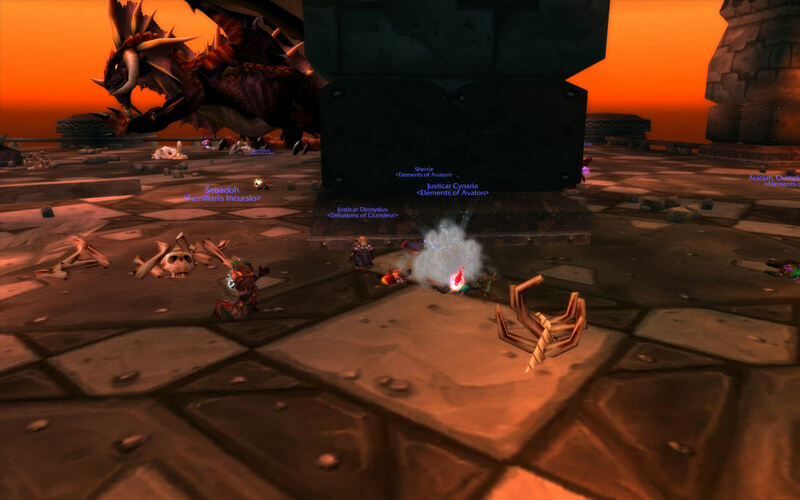 I'm also working on Sons of Hodir rep and the lovely Vetarra pointed out some places to find Frostfire Chips last night which should help my rep grind. And now a quick break for some Excel fun! There are three sheets to the whole workbook. The first is multi-colored (named: List) and looks up all the information from the second sheet (named: Lookup). The third sheet is not really used that much, but can be helpful to figure out which crafted items give you the most bang for the buck (named: Crafted). Basically, you enter all the information on the Lookup sheet. You fill out the name of the item, where it drops, and all the stats. It takes some time, but isn't too tough once you get the hang of it. Then, on the List sheet, you can quickly toggle between items from the Lookup sheet and compare them and see where gains and losses come from. 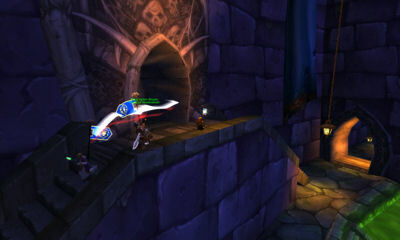 For example, right now I'm looking at The Argent Skullcap and Heroes' Frostfire Circlet. I can quickly see that the Circlet grants me 2 STA, 20 INT, 60 SPI, 72 CRIT, and 35 DMG at the cost of 61 HIT. Using numbers provided by MaxDPS.com, I gain 70.96 DPS by upgrading to the Tier 7 headpiece. I'm also alerted in Red that there is a set bonus to the Tier 7 piece which I need to look out for. I also know that it drops in Naxxramas 10-man from Kel'Thuzad. So we'll take a quick look at the Lookup sheet first. This is the top-left most area of the Lookup sheet. The first row is simply the column number and should not be touched. The second row contains some information further over and should not be touched. The third row is a descriptor row that tells you what you are entering into the spreadsheet. 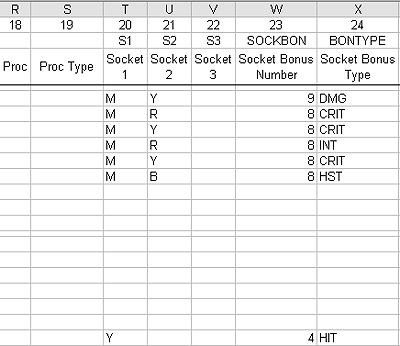 Below that, you can see all the head items I have input into the sheet and all the neck pieces I have put in. Column 1 is the row number and should not be changed and column 2 is the Slot position and should not be changed. All items should be grouped by Slot position. Also notice row 4 and row 14. These are small spacer rows. They should be left alone. If you need fewer rows for Head Slot items, delete any of the rows from 6-12. You should always leave the first and last rows in a grouping alone. If you need to insert rows, copy any row from 6-12 and insert it between 6-12 and go from there. Following these rules will keep the spreadsheet running as it should. From there, you just need to enter all the information. The item name should just be the item name, but as you can see, I added a T7 to the end of some items to keep me cognizant of their rarity. "Dropped In" should just be the instance where it is dropped. If it is a crafted item, just enter "Crafted" and if it is from badges, just enter "Badges" (see the examples of Hat of Wintry Doom and Lattice Choker of Light above. 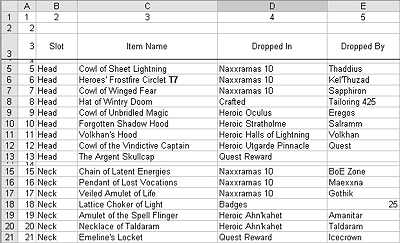 In the "Dropped By" column, you can put where it is dropped, for crafted items, I kept track of what skill level is needed for them, but for Badges, you must put the number of badges required, and only that. Now on to the stats. Here you just enter the relevant stats for each item. So you can see I've entered Armor, Stamina, Intellect, and so on. Damage is obviously Spell Power now, but I've left it as Damage. 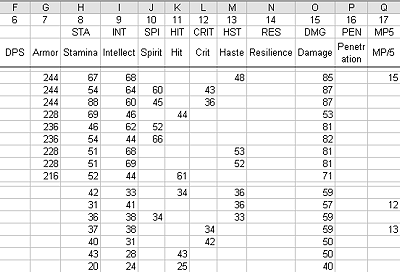 The problem here is I don't have AGI or STR or Dodge or other stats built in that could be useful for some. I am pretty sure you can change the descriptor in row 3, but the abbreviations in row 2 cannot be changed. In these columns we have some additional information. The Proc is some sort of "on effect" type proc. So for example, the Sundial of the Exiled has a Proc of 590 and a Proc Type of "Damage". Sockets 1-3 are just filled in using one letter abbreviations, Meta = M, Red = R, and so on. Socket Bonus Number is the number of stat points you receive as a bonus. And Socket Bonus Type is the type of stat you gain a bonus to. So you can see in the first item, I gain a bonus of 9 DMG (or damage/spell power) if I correctly socket a Meta and a Yellow gem. Here in these last few columns, we have some random information. Set Bonus can be set to Yes or No. If it's set to Yes, then it will highlight the item on the Listing page. If "Own" is set to yes, it will also highlight it on the main page and help you to distinguish it from other upgrade items. 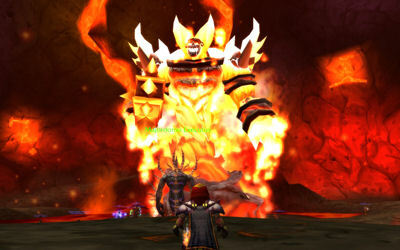 The MaxDPS column represents the DPS each item grants as determined by MaxDPS.com. 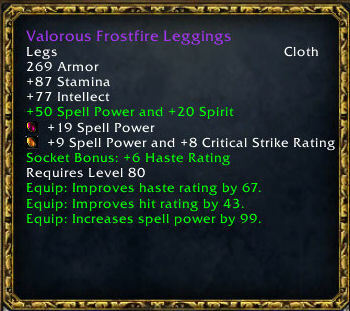 This is just for reference and to compare items that may seem close in stats. 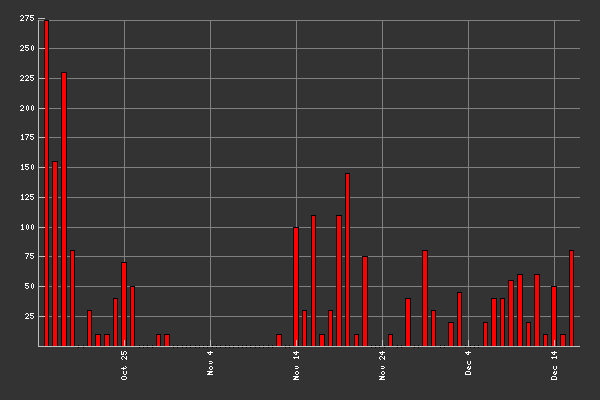 DPS Gain per Badge relies on column E (Dropped By) if Column D says "Badges". So you have to make sure to follow the instructions above for Badge purposes. Cost of Crafting is a rough guestimate that comes from the "Crafting" page. This relies on Column D correctly being identified as a "Crafted" item. 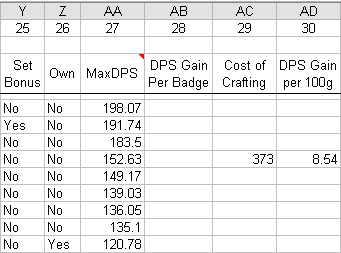 The DPS Gain per 100g relies on the Cost of Crafting. 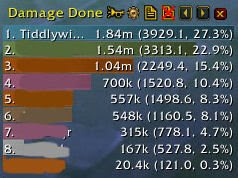 So here we see I'd go from 120.78 DPS to 152.63 DPS for just 373g, which is 8.54 DPS per 100g spent. So once you have input all the information on the Lookup sheet, it flows through to the "List" sheet. This colorful sheet allows you to quickly compare two items for upgrades and also plot out where your next upgrades will come from. Here we see in Column A we have the Slot position, column B has the item, and columns C & D show where it is dropped. The orange colored line indicates that the item is currently in our possession. The white colored lines are upgrades and the green colored lines compare the items to the one we own. Each slot position allows for the comparison of two items to the one we own which should go in the top slot. If you just want to compare one item to another, you can throw any item you want in row 3 and 4 and compare the two. But line 4 will always compare against line 3 and line 6 will always compare against line 3. These pull down boxes come from the Lookup page, which is why it's important to leave the first and last lines of each item slot table alone. You can insert lines or delete lines between the first and last items, but the first and last items should always remain there. You can change all the info in them, but the should never be deleted and you should not add additional lines outside of these rows. 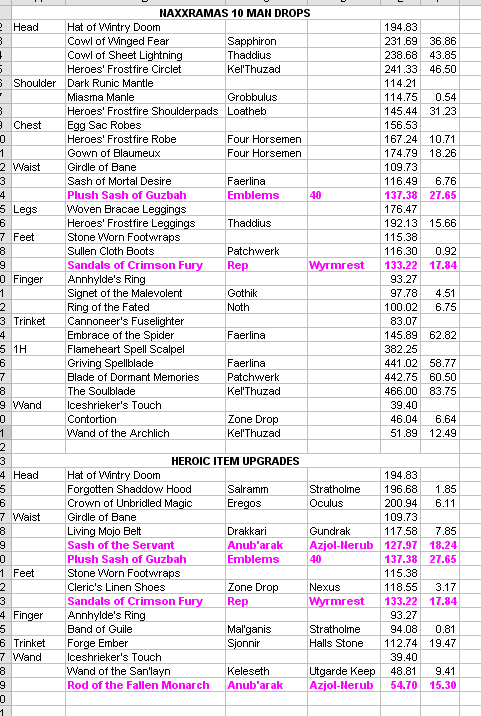 Here we just list the different stats for the items and the enchants that are available to that item. Enchants come from the bottom of the lookup page. All it shows here is the different stats for each item. 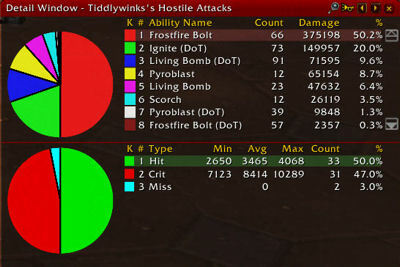 Here we get socketed stats added to the total. Nothing to do here. Here we get the totals. 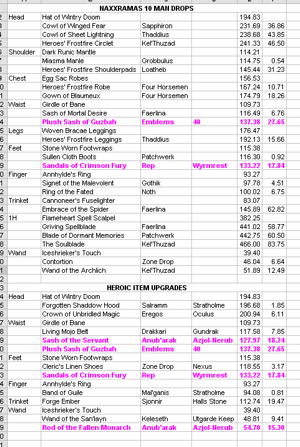 This adds up all of the "On Item" stats, all the "Enchant" stats and all the "Sockets" stats. The fist line shows the item we own, the second line shows the first item we're comparing against and the fourth line compares the second item to the item we own. In this example, going from The Argent Skullcap to the Hat of Wintry Doom, we gain 17 STA, 10 INT, 21 CRIT and 1 DMG and lose 17 HIT. These are the final four columns. Delta Unbalanced shows the total number of stat points that change. 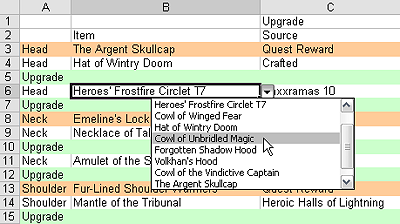 So going from the Argent Skullcap to the Hat of Wintry Doom has us go from 278 to 310 skill points. The reason it says unbalanced is because it considers Spirit equal to Spell Damage, which we know is not the case. But using the MaxDPS numbers, we can see a gain of 31.85 DPS. You can also see that the fourth line is colored red because it has a set bonus associated with it. It's just a bright red color to remind you to factor in the set bonus before tossing it aside if it has weaker stats. The last page is the Crafted page. 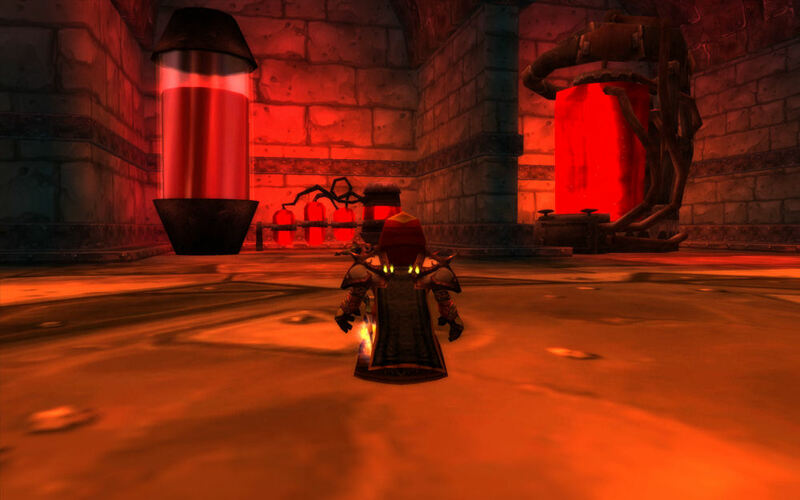 Here we can set prices for crafted items which will factor into the DPS gain per 100g statistic. Note that Row 1 is hidden. In Row 1, we have the column number. So if you have to add columns, make sure you unhide Row 1, fill in the column number and hide it up again. Row 2 has the cost of the material. 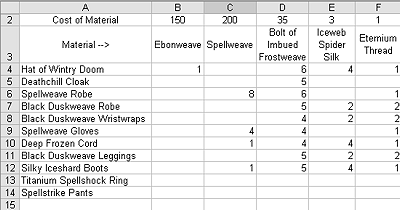 These costs are pretty far off as I found Ebonweave and Spellweave are going for almost double the prices I guessed. All of these prices are changeable - so just switch out different prices for the different materials you have in row 3. 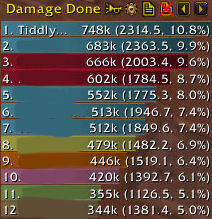 Then, just enter your item name (it has to match the name on the Lookup sheet or the DPS gain per 100g won't work. Then just enter the quantities for each item and at the end, a total cost will be calculated. 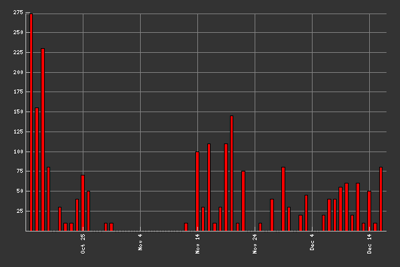 I know it's complicated, but it works for me and it will be pretty complicated to adjust to your own stats (e.g. STR or AGI). While I am willing to answer some questions about the spreadsheet (leave comments on the blog), I can't customize it for you or enter items for you. Also realize that the spreadsheet could easily break if you do something you shouldn't. Just be careful when deleting or adding rows or columns. Also remember you should not touch the "List" sheet other than using the drop downs to pick different items. And though the "List" sheet might seem to break at times, remember, if you select an item and then delete it from the Lookup, it won't work. So just select another item. Also, I have manual calculation on for this spreadsheet. You need to hit F9 to calc the spreadsheet. Or you can go into Tools > Options > Calculation and turn automatic calcs back on. 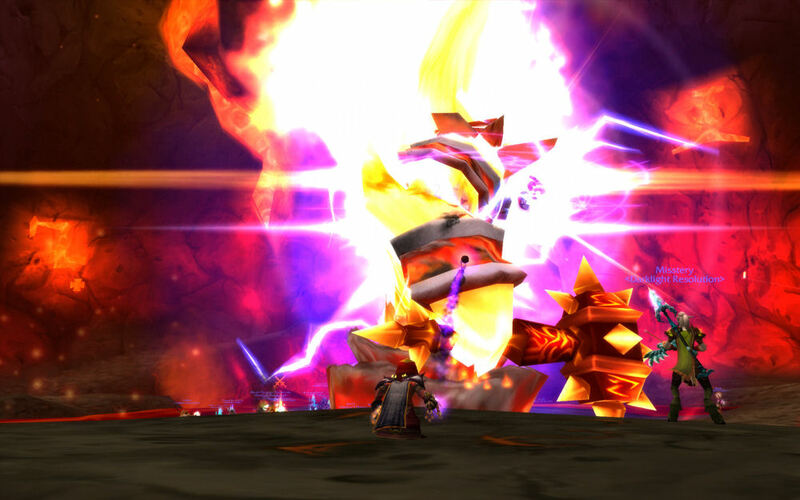 Every day starts in Dalaran. I do the daily cooking quest and then venture out to find more dailies to do. 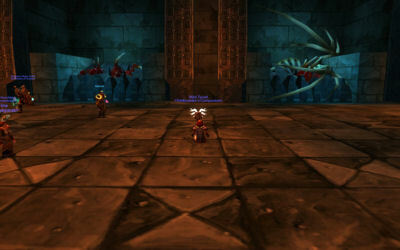 My circuit starts at Moa'ki Harbor in Dragonblight where I do the Kalu'ak daily quest. I then fly over to Kamagua and help two sea cows find true love for more Kalu'ak reputation. 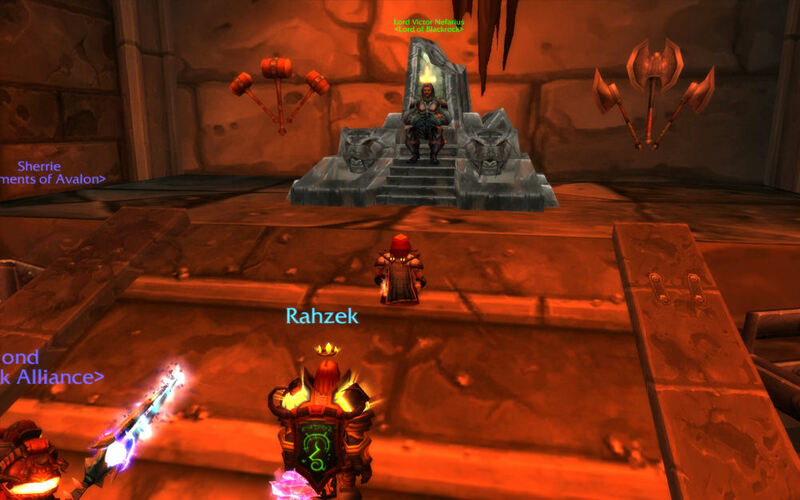 A quick trip up to The Argent Stand in Zul'Drak for Troll Patrol, and 900-1000 reputation, is next. 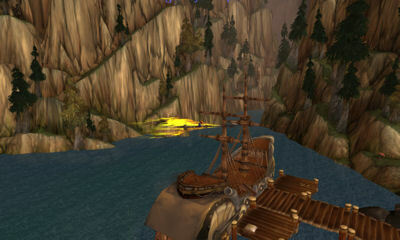 And then a quick flight from there to Dun Niffelem to do the Sons of Hodir dailies. There's currently 5 for me to do since hitting honored which yields 1600 rep. From there I have a choice - either go to Icecrown for dailies or port back to Dalarn. 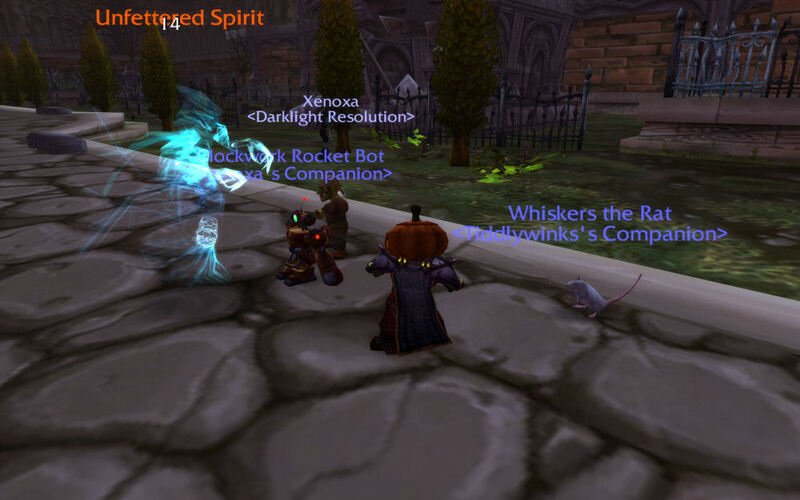 Usually, I'll port back to Dalaran to do the other leg of quests. I fly to Unu'pe for the last of the three daily Kalu'ak quests, and then fly up to Sholazar Basin to do my three Oracles quests. Once done there, then it's on to Icecrown for more dailies. 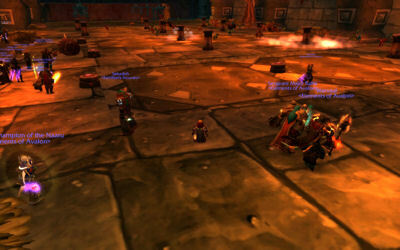 Wyrmrest Accord reputation. I figure on my way down to Moa'ki Harbor to start the day, I can stop in at the Wyrmrest Temple for a quick daily and then I after completing my loop, I'd port back to Dalaran and instead of going to Unu'pe, I can go over to Coldarra and do the Wyrmest daily there and then up to Sholazar Basin. Argent Crusade: 900-1100 based on different Troll Patrol dailies. 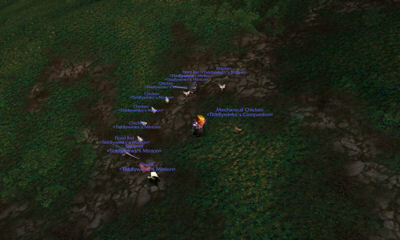 Kirin Tor: 150 from the daily cooking quest. The Kalu'ak: 1500 with just 4 days left until max exalted. 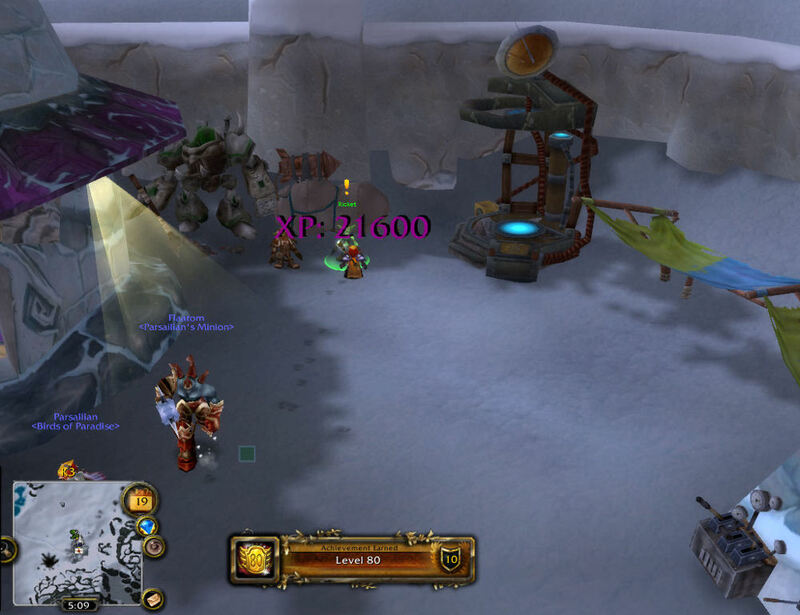 The Sons of Hodir: 1600 with quite a ways to go, but these are fun dailies. 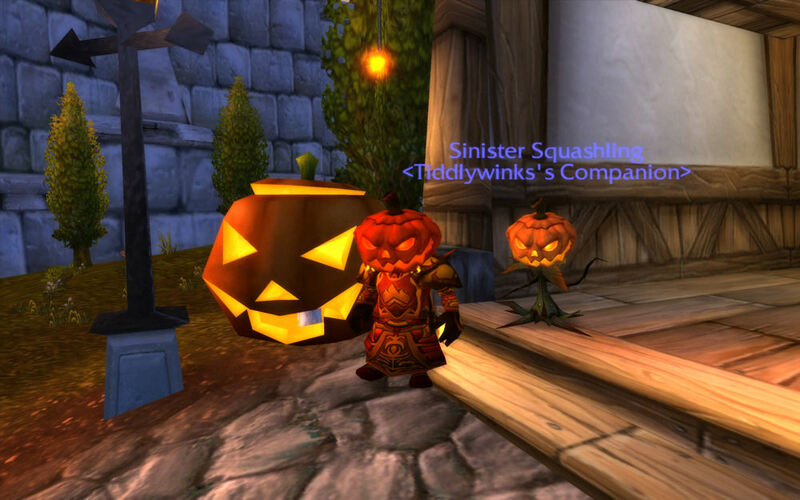 I got nine more attempts at the Headless Horseman yesterday (bringing my total to 24), and still no Squashling. Have seen the Hallowed Helm drop twice (I already had it from last year), so I keep going telling everyone I pass on EVERYTHING except the squashling. Then yesterday, right as I woke up, I see my friend Phosphorex complete the Sinister Calling achievement. DARN YOU! 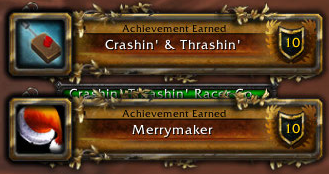 So once I got my Horseman runs out of the way, it was back to achievements. 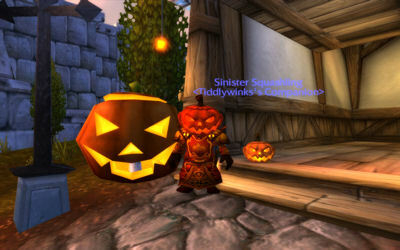 I'm up over 2,400 points now and working towards the Loremaster achievements. Right now I stand at 668/700 on the Eastern Kingdoms with a few more areas to explore. I have some chains to finish up in Uldaman and other random quests I've been finding with the Low Level Quest tracking option. However, I fear I'm going to run out of quests to do just short of 700. I'm trying to think of lesser known quest locations, but haven't thought of any yet (though I did find a nice one in Loch Modan during my explorations). 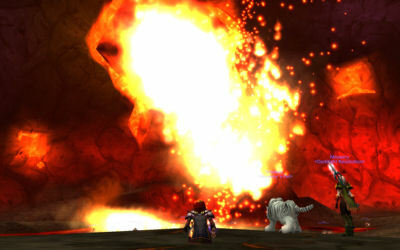 After the Eastern Kingdoms, I'll head to Kalimdor and scrounge for quests there. 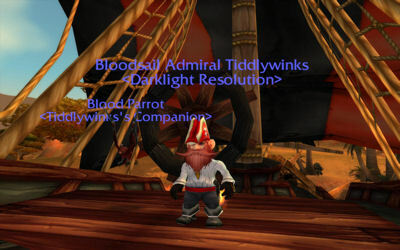 I know there's still a lot I didn't do on Azuremyst and the Night Elf starting zone. I did quite a few while working my rep up to exalted with those factions, but never did all of them. I'm also doing about 20 dailies a day as I work to buy more and more mounts. I believe I'm at 43 or so with only expensive mounts to buy from here on out. After those achievements, I'll probably get back to fishing towards 1,000 fish and keep trying to get Old Ironjaw - can't believe I haven't found him yet in over 700 casts. 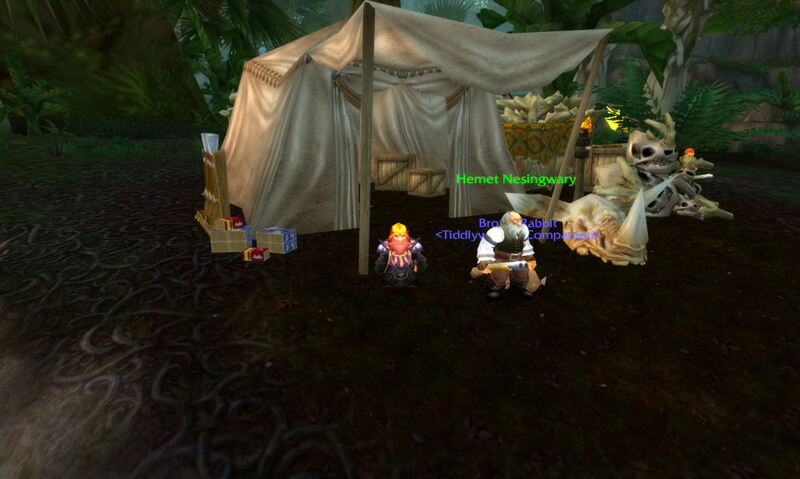 I was able to complete Outland Gourmet and have done all the cooking quests available to me until Northrend. On a side note, I wish there were a way to look up leaders in achievement points on servers, or at least know where you stand with respects to others on the server. 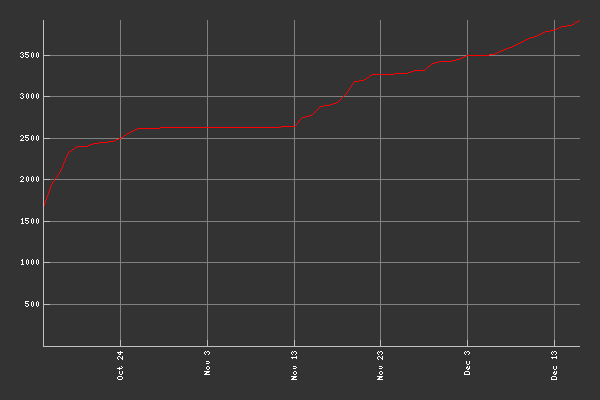 I keep on comparing achievements to those around me and see 600, 900, some up around 1500, even some near 2000, but I haven't really seen anyone near 2500 yet. Phosphorex said he saw someone over 2500, so I know I still have some work to do - and if I can quickly get some heroics out of the way, I'll blow by 2,500. But it's just annoying at the present time to not really know how well you're doing. I imagine I'm probably near the top on the server with all of my grinding pre-achievements. However, I still have quite a few achievements to work on that I'm certain others easily picked up if they were dedicated to rep and grinds like I was pre-patch. 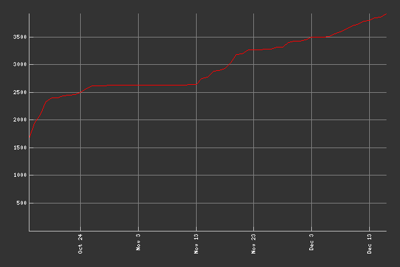 So now I'm working towards 3,000 achievement points and 300/750 total achievements. Up up and away! 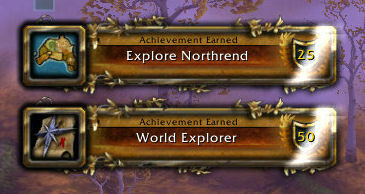 Ok, notwithstanding the exploration achievements, I was able to get quite a few done tonight. I was able to cross off Razorfen Kraul, Razorfen Downs, Wailing Caverns, Ragefire Chasm, and I completed Leeeeeeeeeeeeeeeeeeeroy! 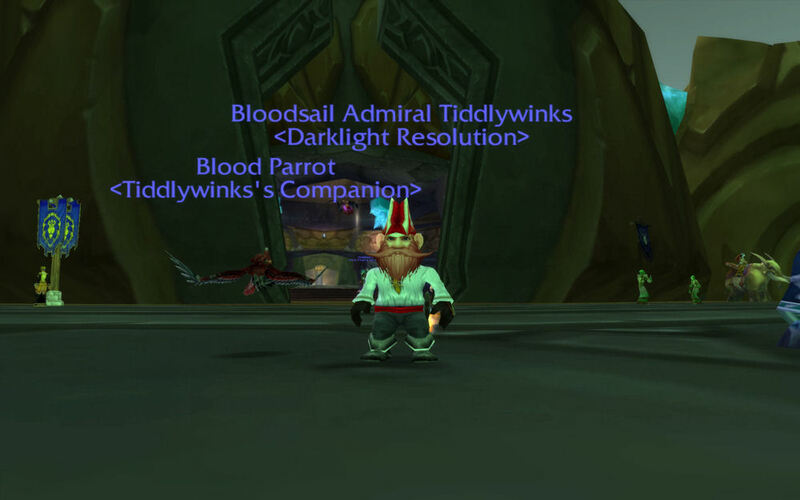 While working on Ragefire Chasm, I was also able to quickly fish in Orgrimmar, port to Stormwind, and complete the Fishing Diplomat. 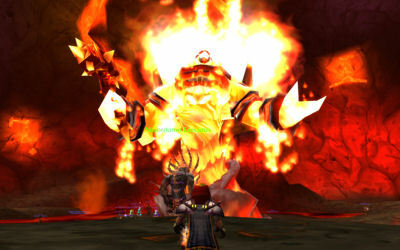 I had just one quest left for the Terror of Terokkar and with that one quest, I earned my Loremaster of Outland achievement. I now stand at 1930 achievement points, 300+ since logging in on patch day. I am at 609/700 of Loremaster of Eastern Kingdoms and a measly 476/730 of Loremaster of Kalimdor. 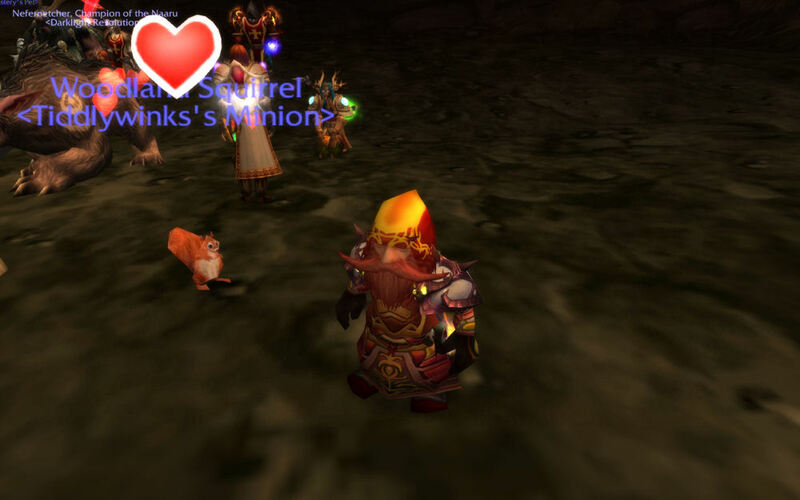 I finished Exploring Kalimdor and had Outland done when I started. Tomorrow I will finish the Eastern Kingdoms. Finally, I have to work on my Lower City, Honor Hold, and Keepers of Time rep for the Burning Crusader and that will also get me to 25 exalted factions. 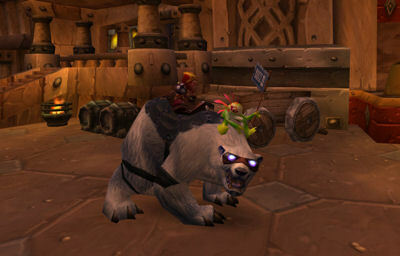 Lastly, I picked up my Blizzcon mount today and now have 11 feats of strength.